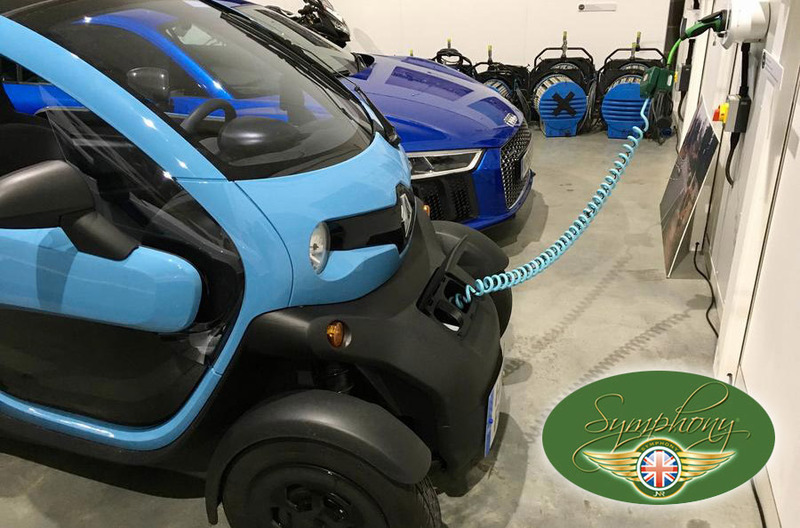 SYMPHONY EV-ZE were proud to be featured on the AUTOCAR & WHATCAR websites recently in a piece by Rory White which stated that the SYMPHONY ELECTROSYMPH Adapter had “saved their Renault Twizy”. Similar to many Twizzy owners, AUTOCAR / WHATCAR were left scratching their heads when it came to actually charging their shiny new car. 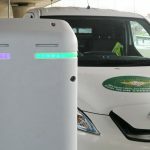 Given the fact that they were charged via a 3-pin socket, it left them stumped when trying to charge the vehicle on the public infrastructure-standard Type 2 charging points. As you’d expect, they turned to Google to find a solution and were delighted to find the British designed and developed SYMPHONY EV-ZE adapter, which works with a whole host of early 3-pin electric vehicles, not just the Twizy. 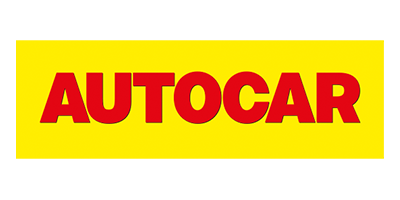 AUTOCAR / WHATCAR were equally as pleased with the ease of use, stating “There’s not a lot to it. You plug it in, the Twizy recognises the process has been activated and it begins whirring away like usual as it takes on charge.”. 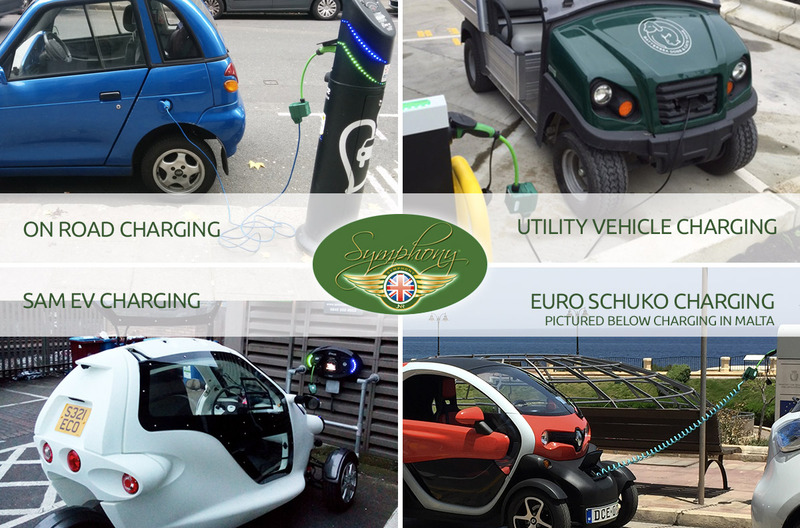 The SYMPHONY EV-ZE adaptor appears to be popular, too, because SYMPHONY EV-ZE reports that a large shipment has already made its way to Barcelona, where the Renault Twizy is a far more common sight thanks to the city’s warmer climate. You can buy the SYMPHONY ELECTROSYMPH Adapter here. We are excited to announce that the ELECTROSYMPH Charging Adapter is now being widely used in mainland Europe and in the USA. Our award winning adapter enables owners of any domestic socket vehicle to take advantage of the ever growing network of on-road charging points. The design was recently configured to work seamlessly with the Euro Schuko plug sockets and the American style two pin 120V plugs. If it wasn’t for the domestic socket vehicles being launched 15 years ago, the EV market wouldn’t be where it is now. 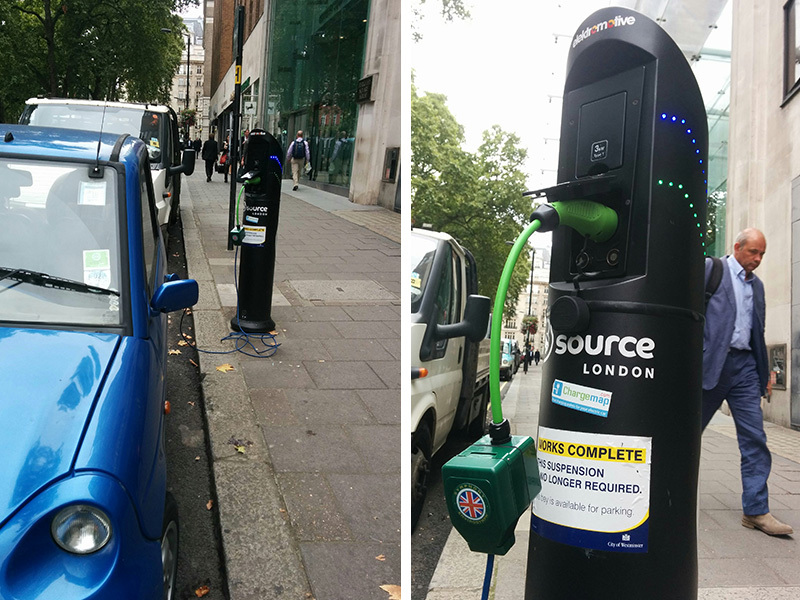 When the decision was made to remove domestic charging points from the UK road infrastructure concerns were raised that these vehicles, which started the EV revolution in the first place, would become obsolete. The SYMPHONY EV-ZE research and development team took it upon themselves to solve this massive problem and bridge the gap between domestic socket electric vehicles and the modern day EV charging network. We developed an adapter to convert the standard 3 pin 13amp plug to connect to all on-road charging points. 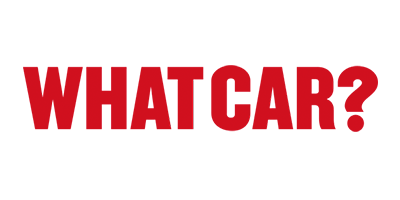 After its unrivaled success in the UK, the obvious next step was to open up this level of access to vehicle owners worldwide, which we are delighted to have now achieved. 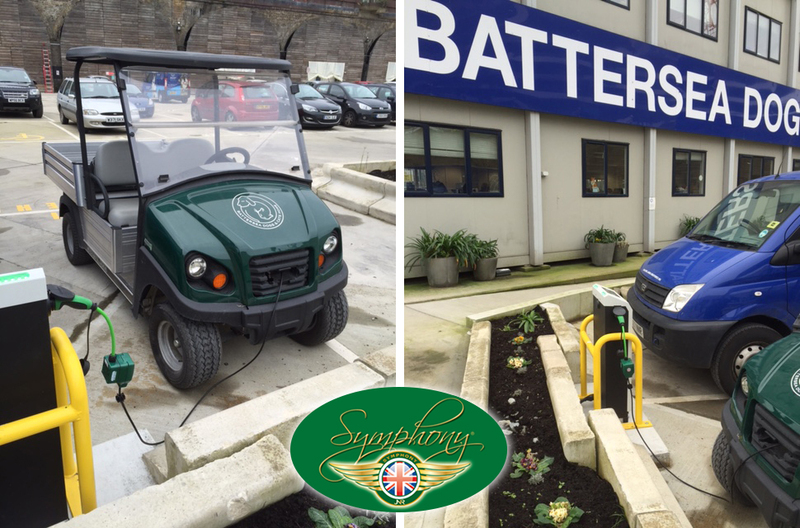 The ELECTROSYMPH adapter can also be used by Utility Vehicles to charge at any approved charging points, as recently demonstrated at Battersea Dogs & Cats Home. 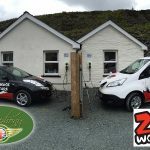 This not only maximises the usage of the charging points, with utility vehicles charging overnight and suppliers/customers charging throughout the day, but it future proofs these domestic socket vehicles that are widely used at hotels, zoos and themeparks, both at home and now abroad. The ELECTROSYMPH adapter is also aiding the development of new EV technology, such as the ultra light 3 wheel SAM EV which is also fitted with domestic plugs as standard, making it easier than ever to charge from home whilst also utilising the charging point infrastructure. You can buy the ELECTROSYMPH charging point adapter here. 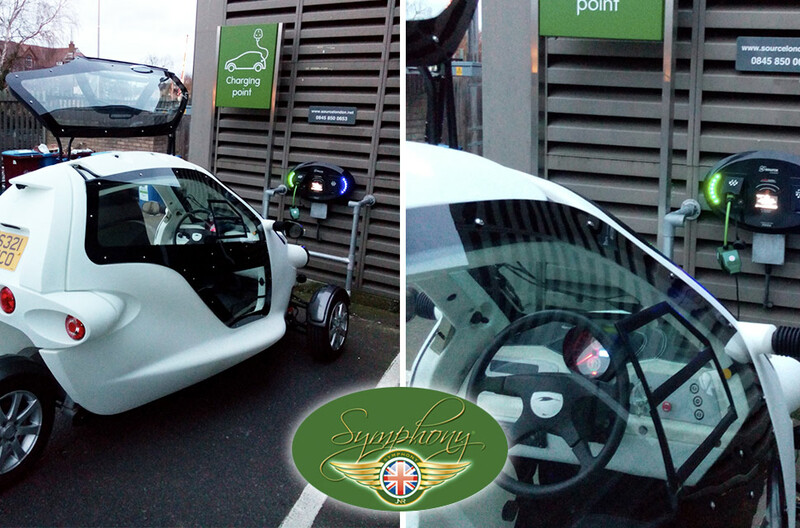 SYMPHONY EV-ZE has helped a pioneering EV user charge more easily with its ELECTROSYMPH adaptor. 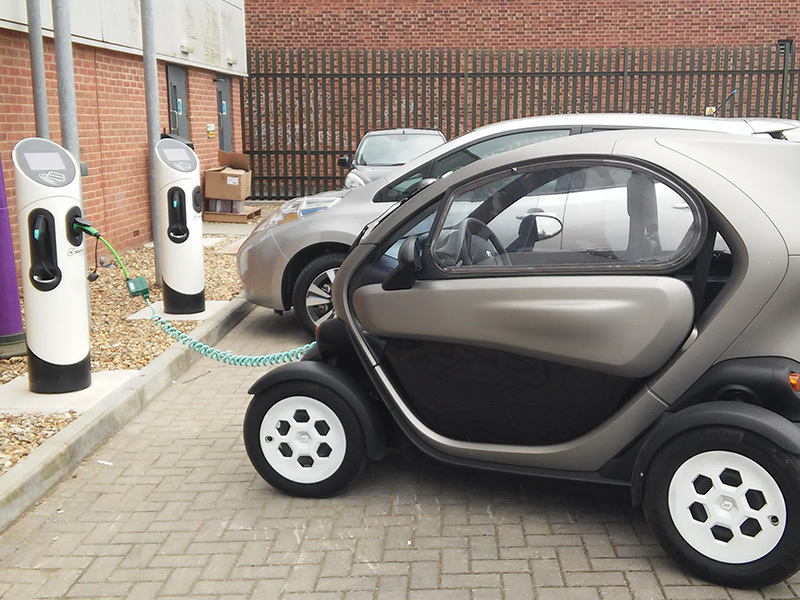 Simon Bailey, an ultra light vehicle university researcher, has been testing a SAM EV – Sustainable Automotive Mobility – and was looking for a way to improve the number of charging points available for the three-wheel electric vehicle. 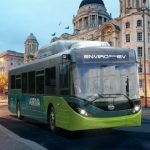 The ELECTROSYMPH unit allows drivers of EVs that normally only charge with a conventional three-pin plug to use Type 2 charge points – making recharging their vehicle on public networks far easier. 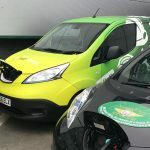 The SAM vehicle, like Renault’s Twizy and the G-Wiz, isn’t normally able to use conventional Type 2 public charging points, but the ELECTROSYMPH changes that. Simon’s SAM is the first model on UK roads. Sitting in a gap between car and motorcycle, the SAM is more commonly classed as the latter thanks to having one less wheel than the Twizy – a quadricycle. As such, it has a number of benefits such as being able to use bus lanes (when marked as allowing motorcycle use) for example. However, the SAM includes full-side windows, windscreen, two seats, and ample room for tall drivers, so is easily usable as a compact and lightweight runabout. Designed in Switzerland and manufactured in Poland, the SAM is available to buy for UK use, but needs a couple of conversions to headlights and speedometer to make it road legal on these shores. In time, the factory is looking to implement these as a UK option, but currently this needs to be done by the customer. Those drivers get a vehicle that weighs 500kg including the battery. This lack of weight means that a 7 kWh lithium polymer batter and 11.6 kW electric motor are good enough to see a 0-31mph time of seven seconds, a top speed of 56mph, and quoted range of 50-60 miles on a single charge. Designed to have a low environmental impact, the SAM’s bodywork needs no paint as it is made from plastic and manufactured from just four parts. Zero-tailpipe emissions and a small battery mean that driving and charging make efficient use of energy. At SYMPHONY EV-ZE Research & Development team have once again developed a solution to an every day EV charging problem with the national network infrastructure both at home and work and across Europe. Our ELECTROSYMPH Adapter can now be used by Utility Vehicles to charge at any approved charging points, future proofing both the vehicles and the charging points simultaneously. This will vastly improve productivity for vehicles such as Councils Electric Utility Vehicles – Street cleaners and EVs used at Hotels, Golf courses, Zoos, Theme-parks and gardens alike. It will also maximise the use of on road and at car parks charging points, allowing them to be used by the public during the day and by the commercial sector at night. As reported on Zap Map last week, our award winning ELECTROSYMPH charging point adapter is allowing all electrical vehicles with a standard 13amp plug, access to nearly 10,000 charging points across the UK. 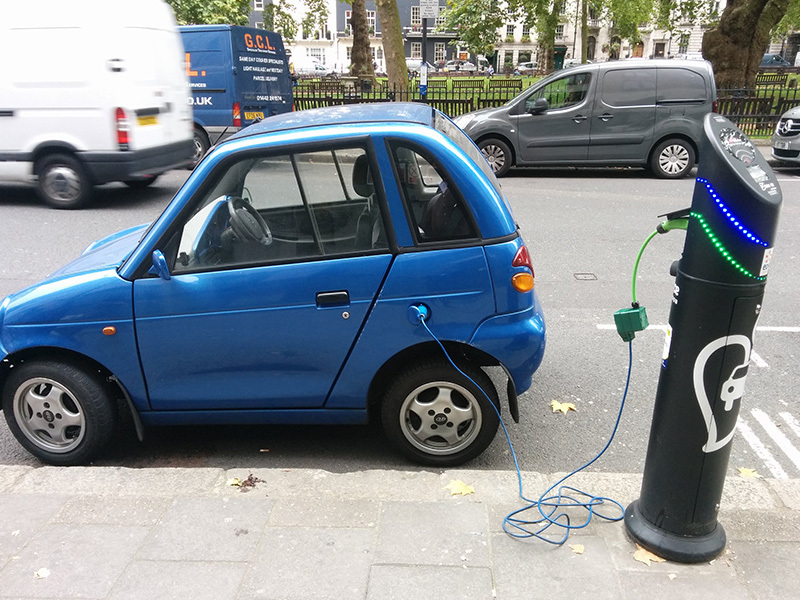 Until now, owners of the Renault Twizy and the Reva G-Wiz, amongst others, could not take advantage of the connectivity infrastructure. Our new ELECTROSYMPH charging adapter, which you can buy online here, has been approved by all of the major manufacturers and connects to all on road Mode 2 and Mode 3 charging points.